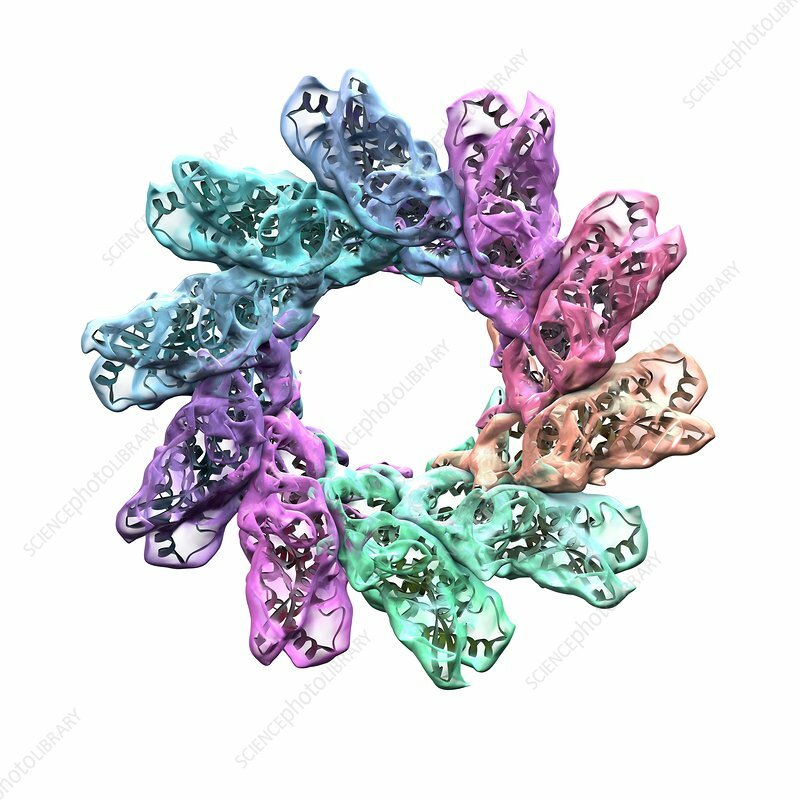 Respiratory syncytial virus (RSV)capsid proteins, computer artwork. RSV particles (virions) are composed of an outer protein coat (capsid) encasing RNA (ribonucleic acid), the genetic material of the virus. Embedded in the capsid are several proteins, enabling the virion to infect its host's cells. RSV causes lower respiratory tract infections and commonly infects children.